JustServe.org is a free community resource sponsored by The Church of Jesus Christ of Latter-day Saints. Participating organizations visit the website to post service needs to a wide range of volunteers. Volunteers can visit the website to locate service opportunities that best fit their interests, skills, and availability. 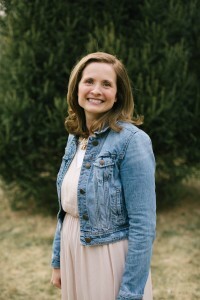 Jennifer Zimmerman is a local public affairs director for The Church of Jesus Christ of Latter-day Saints. She oversees 9 congregations and has served in this position for 6 years. She also serves as a JustServe administrator. Jennifer graduated from Weber State College with a Bachelor’s degree in Child and Family Studies in 1994. After graduation she moved to St. Louis Missouri to support her husband in medical school. After his graduation in 1998 she moved to Dayton Ohio and has lived here for 18 years. She is a proud mother of 6 children and is passionate about volunteering. Her desire to help the less fortunate began at a very young age and has been a part of her life ever since.